Print the numbers in expanded notation. Expanded notation worksheets. Math worksheets for the 3rd and 4th grade. 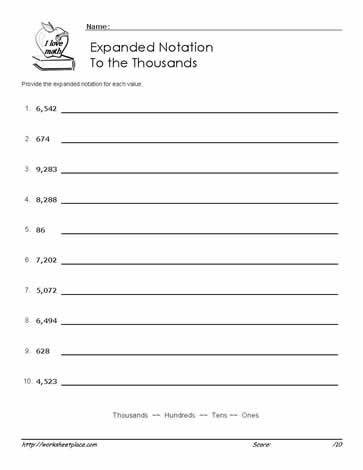 Place value with numbers, determine the value of the numbers on these math worksheets.